Creina currently practices as an executive coach and leadership facilitator. She partners business leaders in a process that is ultimately focussed on ‘upping their game’ both personally and professionally. She believes that the success of Executive Coaching is measurable by tangible differences in behaviour and performance and her clients value her ability to facilitate their personal growth and learning, performance improvement and professional development. Creina also works with leaders and their teams in a process designed to unlock value for the individual, the team and the organisation. In her coaching she has supported the careers of many executives in leading South African companies in industries that include manufacturing, construction, engineering, IT, financial services, FMCGs, transport, media, government departments, universities, political parties and NGO’s. She works directly with her own clients as well as in association with several private organisations and learning institutions. In addition to coaching, Creina is on the faculty of The Integral Coaching Centre where she facilitates in the development of Practitioner Coaches and supervises and assesses student coaches. She has also supervised coaches on the Wits Business School’s Business and Executive Coaching Course. practice as a human resource practitioner within a retail environment. Creina is in training and actively pursuing her continuing professional development as a Time to Think coach and facilitator. 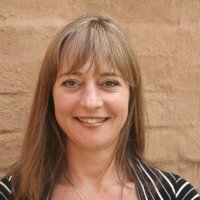 She is an accredited TAN and HAY facilitator and, as such, is able to utilise their profiles and material, including the Emotional and Social Competence Inventory. She is actively pursuing membership of international coaching bodies.